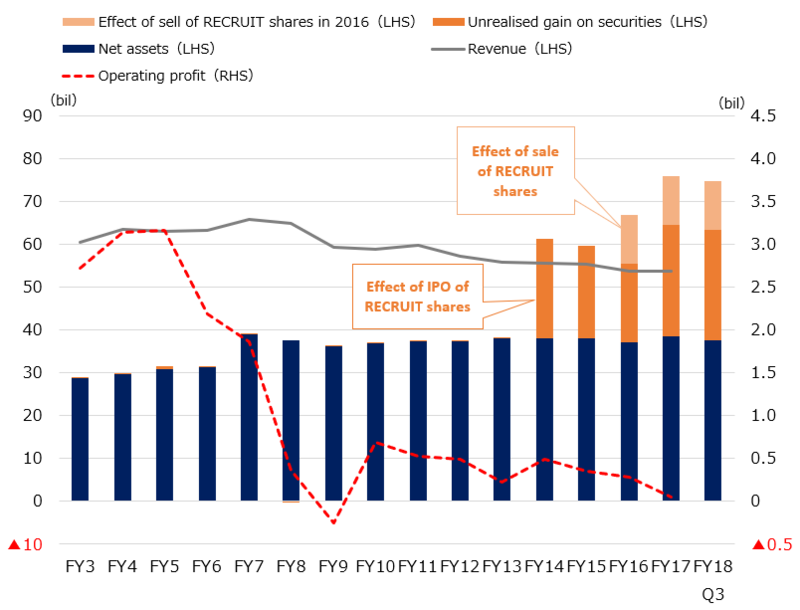 Challenges Tosho faces | Improve Tosho’s shareholders’ value Strategic Capital, Inc.
Tosho faces 2 major challenges, the first is extremely low operating profit margin and the second is the excess of net assets. Reviewing Tosho’s 15 years earnings trend, its performance is getting worse year by year. A headwind due to digitalization in printing industry cannot explain the whole reason of Tosho’s low operating profit margin. 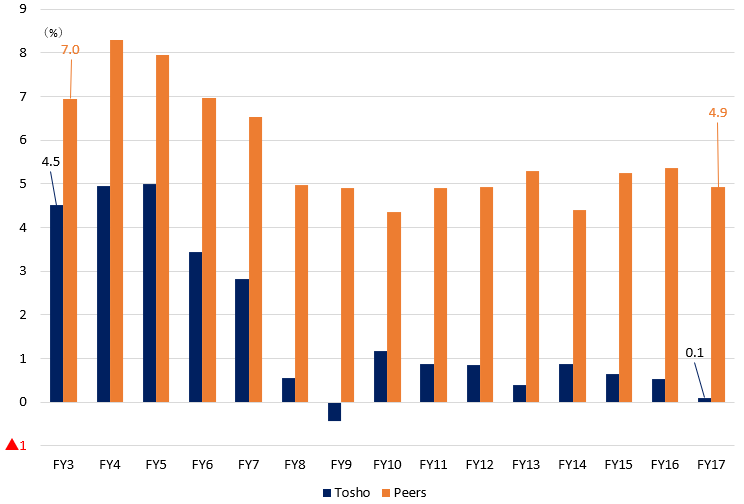 The truth is that Tosho had not given adequate reaction to such market changes and this resulted in a huge operating profit margin gap between Tosho and other companies in the same industry (hereinafter referred to as “peers”) in these 15 years. Now, Tosho is left behind in the printing industry.